A memo was circulated a few weeks ago by the President of the Associated Beer Distributors of Illinois regarding the Illinois Liquor Control Commission becoming aware that some distributors were furnishing entire draft systems, coolers and glassware to retailers. It is a violation of the Liquor Control Act to provide items of value to any retailer for no charge. They consider this enticement and worry about an independent licensee being influenced or controlled by someone else. The penalty for such violation is a minimum $500 fine to retailers (the penalties are much steeper for distributors). Items such as these may only be sold to the retailer at fair market value. or anything else of value with an alcohol brand's name or logo on it that may have come from your distributor, then keep a receipt for it on premises. Start a folder for these items and make sure your manager(s) know where to find it. Expect inspectors to ask about some of your these items the next time they're in your establishment. They're out there looking. Have you had an inspector ask about these types of things recently? How much of a stickler were they? Please share your thoughts on our Facebook page. 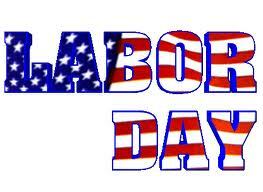 Bret Dixon Insurance will be closed this Monday, September 1st, in observance of Labor Day. If you have issues while we're closed, check our Claims & Payments page for your Company's direct contact info.